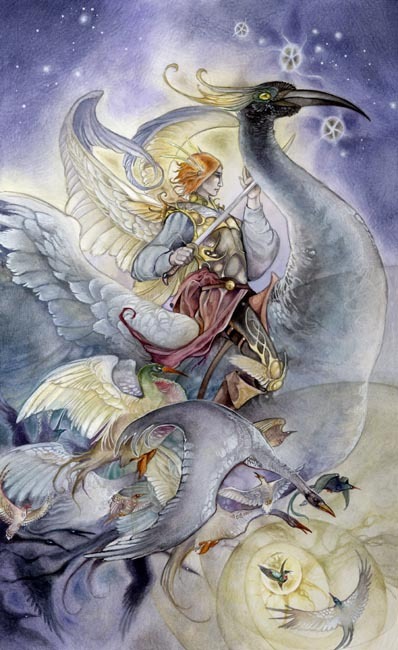 The Knight of Swords is the brave hero who rushes headlong into conflict to defend his beliefs. He is blunt and comes directly to his point. He is domineering, a seeker, slicing through the skies with his sword and his wings. A storm gathers in his wake, borne of the turbulence his winged army creates, and he is lifted high above it all to pierce through the chaos. The sword is a beacon.